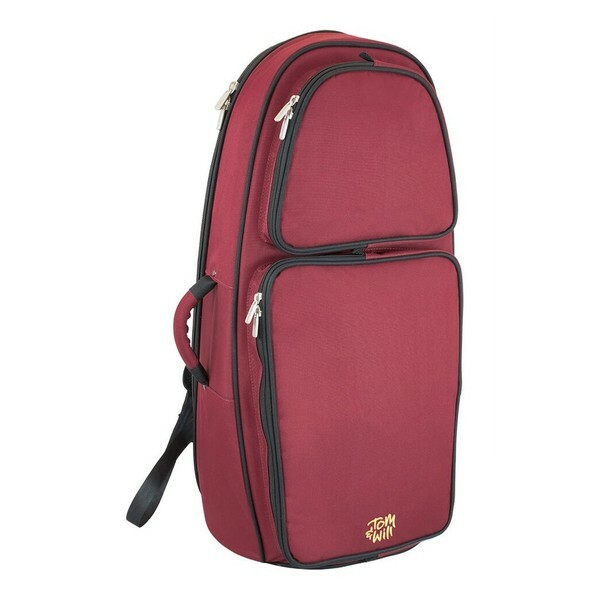 The Tom and Will 26EU Euphonium Gig Bag has a burgundy no-rip hard wearing polyester exterior, with black piping and a soft grey interior lining. The 26EU comes with a hideaway backpack and should carrying system as well as a heavy duty zip opening. All straps are riveted as well as cross stitched to ensure they are reliable enough to last a lifetime. 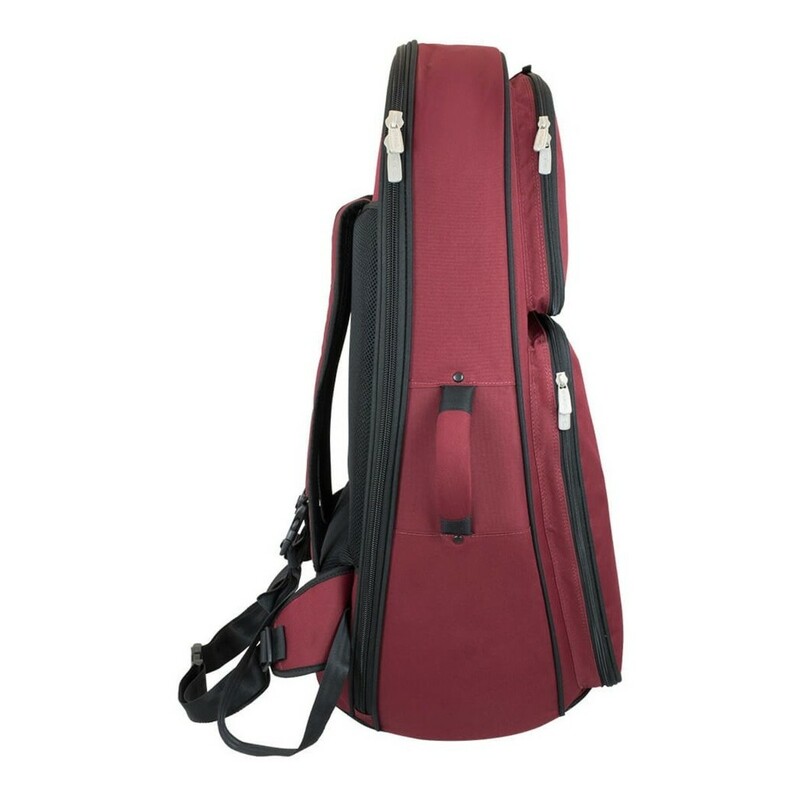 This lightweight design weighs just 2.12kg and is comfortable for players to carry around. 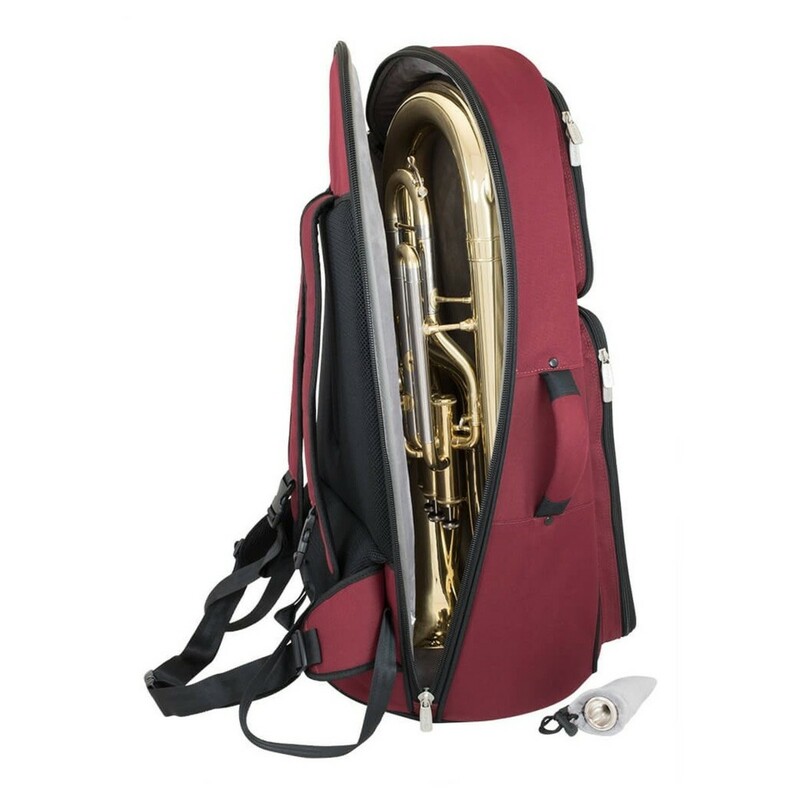 Designed with student players in mind, this 26EU euphonium gig bag is small and lightweight. 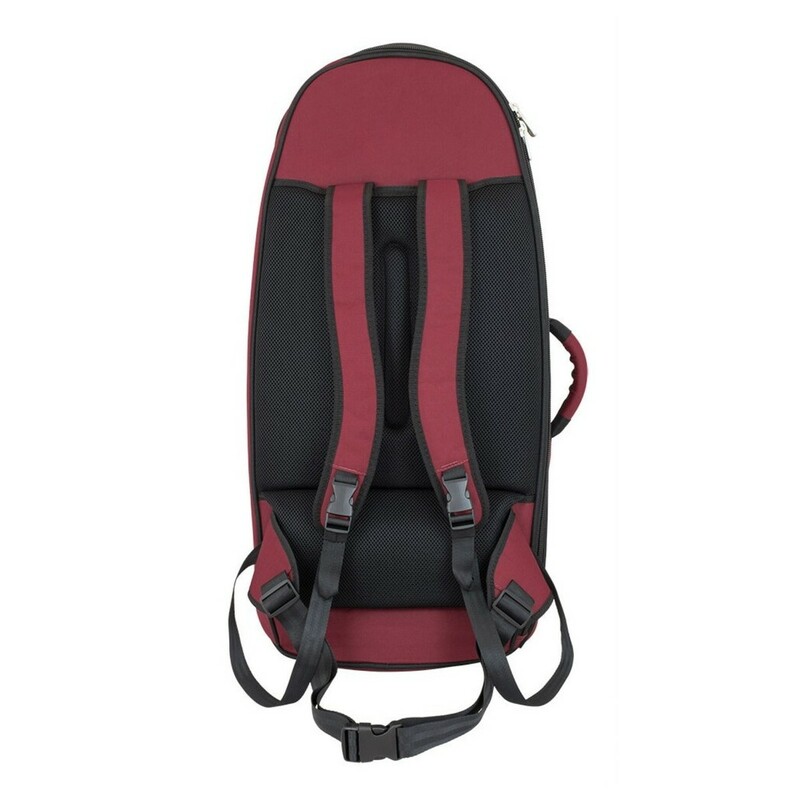 The case is made up of high quality features including new handles, a crossover single zip opening, heavy duty oversized zips, high density padding, two additional lined pockets + small accessories pocket and an adjustable hideaway shoulder strap and backpack carrying system, with security side pads. 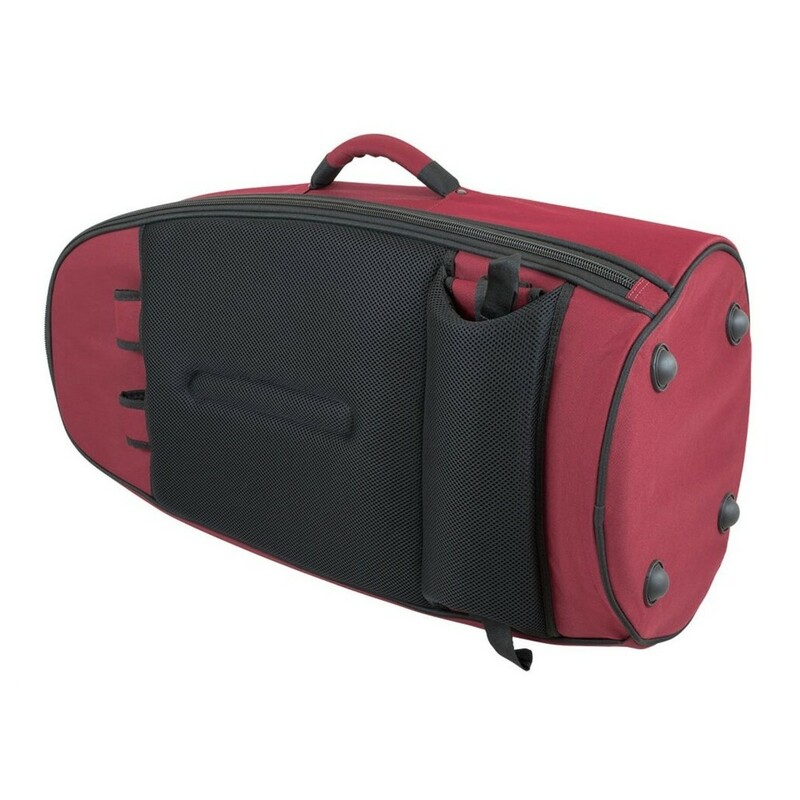 This protective euphonium case includes a high quality interior padding to further protect the instrument during travel. 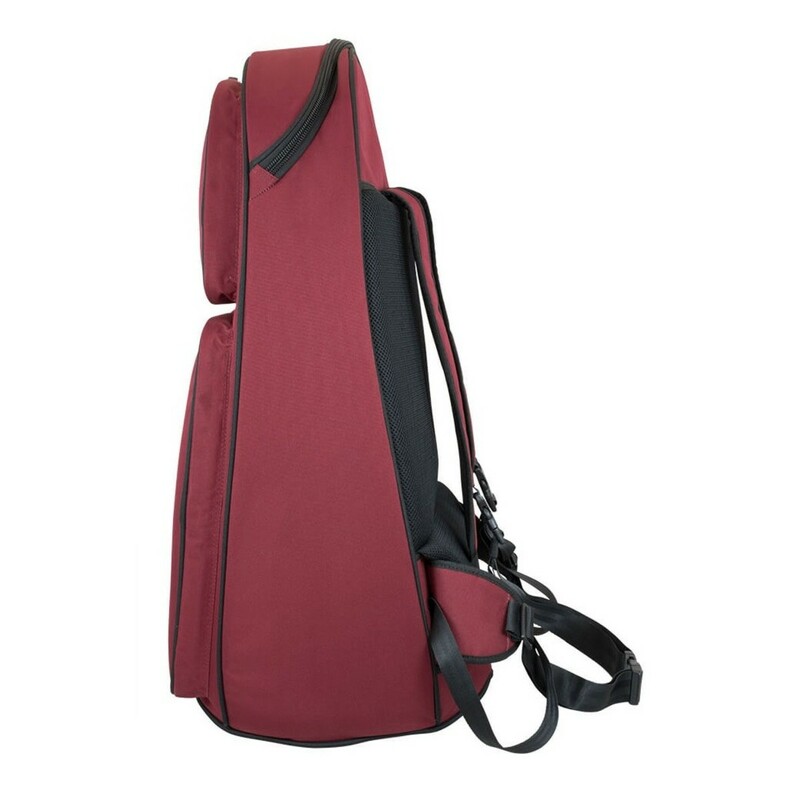 Whether travelling to school, rehearsal, gigs or concerts the shoulder straps or carry handle will enable you to transport this case easily and comfortably.